Bridge My Return recognizes and celebrates the fact that Veterans and transitioning service members are highly-skilled candidates with desirable attributes, like integrity, strong character, teamwork, and self-discipline. We also know that in the job market, stereotyping, skills misunderstanding, and acclimation difficulty are challenges that need to be tackled. Our goal is to reduce Veteran underemployment and job dropout rates—as well as improve job satisfaction and performance—by providing the tools and coaching necessary for private sector success. All services are provided at no charge to Veterans and transitioning service members. 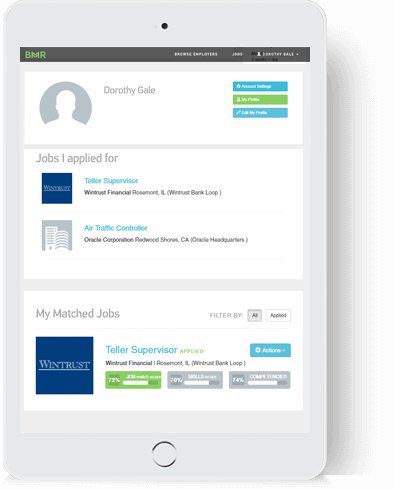 Our app assesses your military talents/experience and converts it into language and skills an employer will instantly get. The hard skills, of course. But also things like strategy, teamwork, leadership, and forthrightness. Those terms translate brilliantly to a private sector that places increasing importance on delivering value and improving customer experiences. 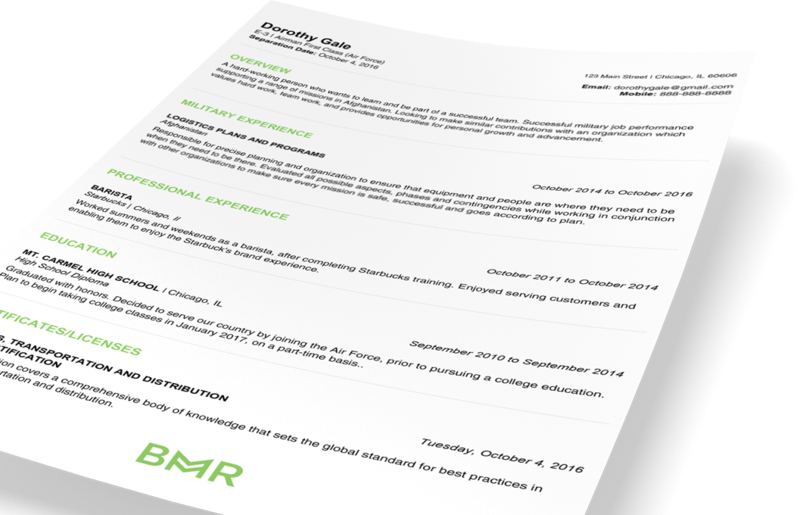 If you’re anxious about the idea of creating a resume, fear no more. 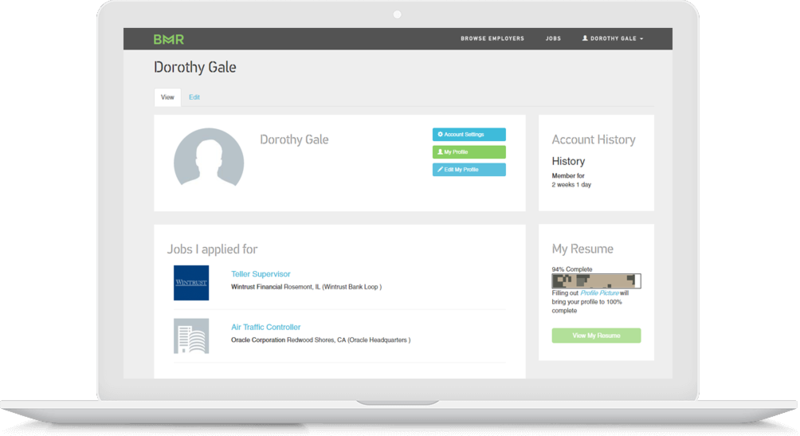 Our resume-builder does it for you, taking the information from your profile and turning it into a document you can be proud of. You don’t scramble and fret, trying to find where the jobs are and filling out application forms. You cruise through our profile builder at your own pace. When the info matches up to an employer’s hopes and wishes, they contact you. Or, when you’re matched to a company with a job opportunity that piques your interest, you contact them with the click of a button. That’s it. Uncertain about what to do? That’s where our coaching program comes in. You are matched up with a coach that works with you before you’re hired, during the interview phase, and after you’ve been hired. He or she will be a sounding board—to listen, to advise, to guide.